Monique Adamczak is a world ranked professional tennis player who calls FX Tennis @ Cintra Park home for her off-season and mid-season training. 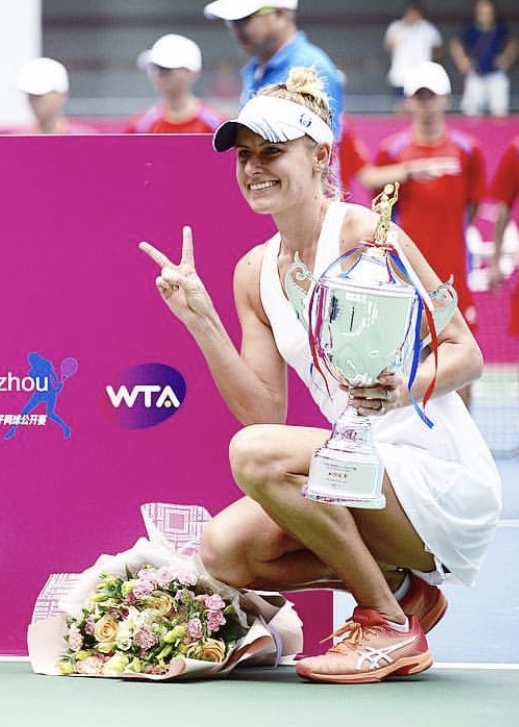 She has been as high as #44 in the world, and has amassed two WTA Titles to her name, over 30 ITF Titles and has competed in all of the Grand Slams from Wimbledon to the Australian Open. With a degree in Exercise and Sport Science she also plays a key role in the structure of the FX High Performance Junior and Professional development program bringing her knowledge in strength and conditioning for the athletes. For students starting out in tennis, Monique is part of the ongoing development of the YOUNG GUNS (aka HOTSHOTS) program which emphasises the technical aspect of tennis but also addresses skill acquisition for children. Monique is passionate about inclusion and has been responsible for bringing the Special Olympics to FX Tennis @ Cintra Park and making the events a fun and enjoyable experience for all the athletes. She is also a key figure in providing children from homeless communities the opportunity to play tennis at FX Tennis, through the connection with St. Merkorious Charity.